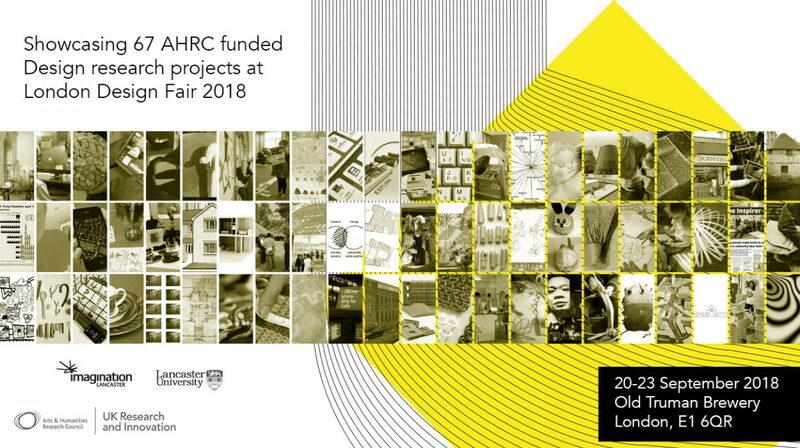 Design Research for Change is a showcase of 67 Arts and Humanities Research Council (AHRC) funded Design research projects. The projects traverse disciplinary, methodological, geographical, and conceptual boundaries. The work on display at the Old Truman Brewery during London Design Fair 2018 was developed by researchers and practitioners from a range of Design disciplines including product, graphic, fashion, and furniture and from other specialist areas such as healthcare, business, engineering, and elsewhere. The projects illustrate wide-ranging social, cultural, and economic impact and highlight the significant roles that UK-based Design researchers play in some of the most complex and challenging issues we face both in the UK and globally and the positive outcomes that are being designed and developed. More information about the 67 exhibited projects can be found by clicking on the links below. Whose right to the (smart) city? Woven Concrete: developing weaves for use in textile/concrete hybrid wall panels. The view of the child and young person in designing museum and gallery spaces for learning,exploration, discovery and research. Culshaw & Sumners: a Victorian architectural practice and its impact on Liverpool’s built environment. Design Innovation for New Growth (DING): design as a strategy for growth and innovation in the creative economy of the Highlands and Islands. Guernica Remakings, South Africa, research into the practice of cross-cultural translation through making. Hidden Florence: Geo-located historical walks in a context-aware environment.